The district of Etawah is moderately developed as an industrial hub in the region due to absence of trained people and industrial sponsors. However, many small-scale industries thrive in the city and its adjoining areas operating their business from their base at Etawah. Of these many industries in Etawah, though most being small, the iron and steel manufacturing industry is somewhat flourishing. 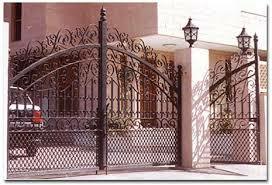 As a part of this industry the iron grill manufacturers in Etawah are running their business quite successfully. 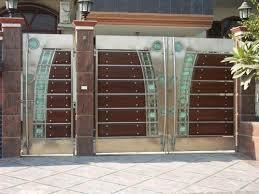 The iron grill manufacturers of Etawah offer expertise in manufacturing and welding works for iron gates and decorative iron gates. Sliding gates, rolling gates, security gates rolling shutter, channels, aluminium channels, aluminium rolling shutters and aluminium gates are made by the iron gate manufacturers of Etawah. The grill manufacturers in Etawah city manufacture door grills, window grills, iron grills and steel grills whereas the steel railing manufacturers in Etawah generally manufacture customized steel railings for their customers. The steel manufacturers in Etawah operate primarily as iron and steel supplier for the iron and steel-based industry established in and around the city.